Dr. Pramod K. Srivastava, an accomplished leader in basic and translational research, is the director of the Carole and Ray Neag Comprehensive Cancer Center. 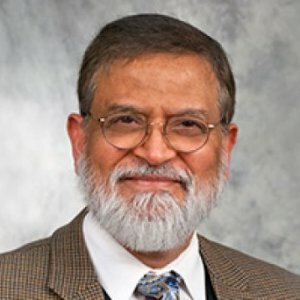 Srivastava is a professor and interim chairman of the Department of Immunology, director of the Center for Immunotherapy of Cancer and Infectious Diseases, and part of the leadership team of the Connecticut Institute for Clinical and Translational Science (CICATS). He holds the Eversource Energy Chair in Experimental Oncology. He has earned international acclaim for his groundbreaking work in the immunological function of heat shock proteins and in cancer immunology, is widely published in scholarly journals and serves on editorial boards for several major journals in immunology. University of Connecticut School of Medicine: M.D. Measurement of tumor diameters, tumor volumes, or area under the curve has been traditionally used to quantitate and compare tumor growth curves in immune competent as well as immune-compromised mice and rats. Here, using tumor growth data from a large number of mice challenged with live tumor cells, we describe the use of a new composite parameter, Tumor Control Index (TCI) as an alternative method to do the same. This index, comprised of three distinct values, the Tumor Inhibition Score, Tumor Rejection Score, and Tumor Stability Score, provides a complete picture of nearly every aspect of tumor growth in large numbers of animals, can be deduced automatically from tumor diameter or volume data, and can be used to compare several groups of animals in different experiments. This automatically derivable index also corresponds neatly to the use of complete and partial responses and tumor stability data generated in human tumors, and can be used to assess the efficacy of interventions to be used in clinical studies. We propose here that cigarette smoke (CS), in addition to its established genotoxic effects, elicits chronic albeit sub-clinical immune suppression, which is a major contributor to cancer progression. This hypothesis, presented here primarily in the context of bladder cancers (BCs), is applicable to other cancers, including those without a confirmed link to smoking.